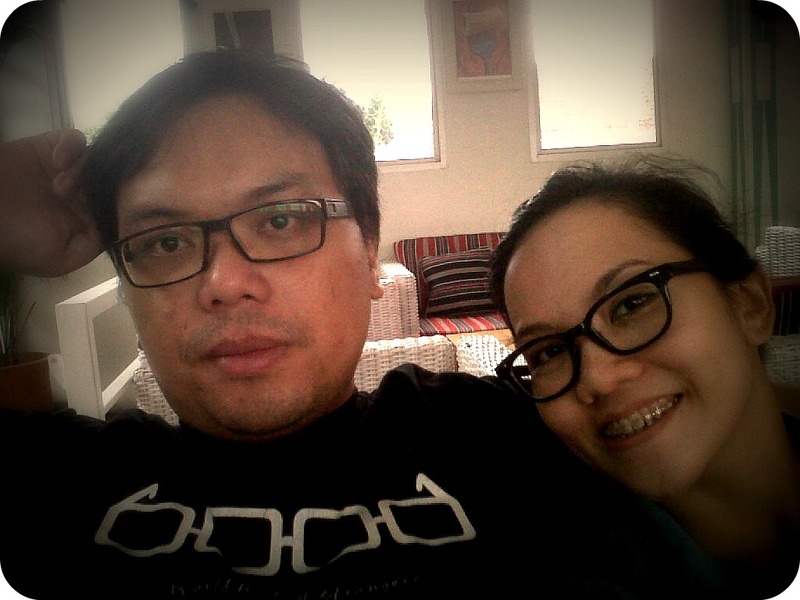 It's been around two or three days for both of us to crave about steaks. And the television didn't help either. In each of the food channel, either it is TLC or AFC, Adam Richman, Anthony Bourdain, Michael Smith, and Jamie Oliver, all showing their journey to search for the best meat places. Heck, even Andrew Zimmern who are notoriously always informing about his bizarre expedition, in the past few days looked "normal" with him going around New Jersey sampling the best restaurant in the city with guess what: the best local steak in town. 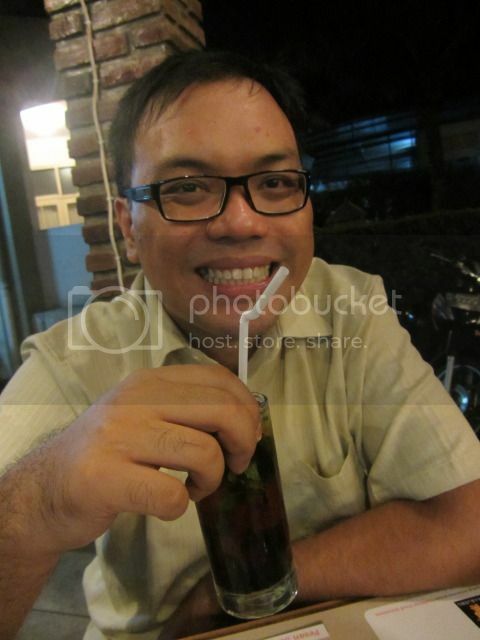 So, after all of these bombardment, we finally giving up. 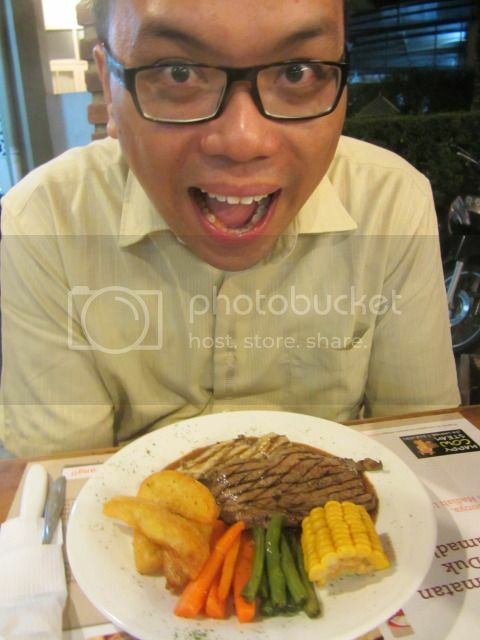 We went to HappyCow Steak in Jalan Lombok, to have some steak. 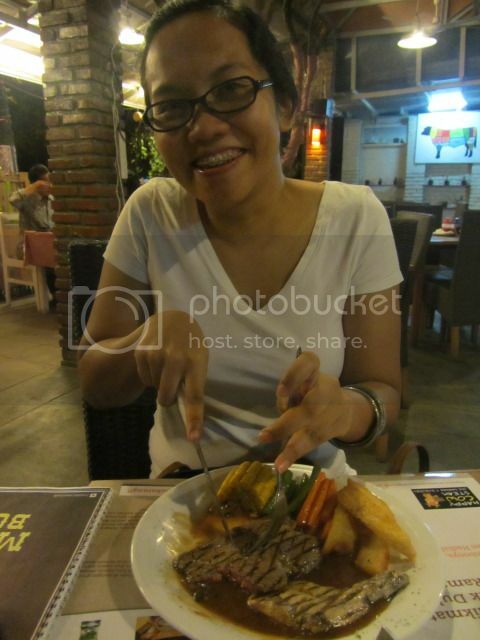 As Alia is already full after iftar with her ITB colleagues, the task of ordering the meat falls to me. I was going to order their burger, but as it was sold out, I decided to try their beef-chicken combo with mushroom sauce. 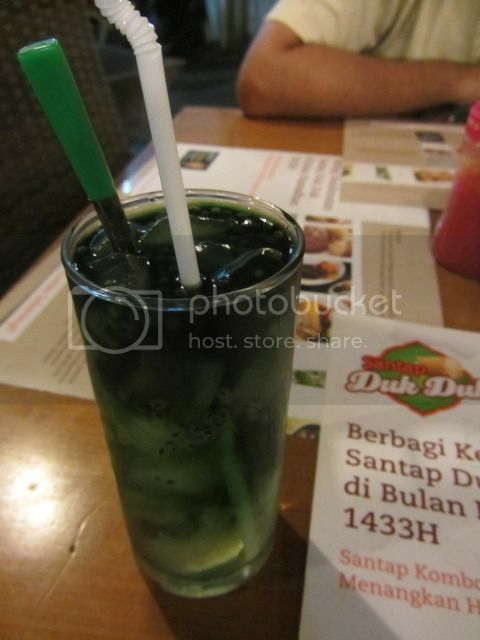 For drink I ordered their Iced Mint Tea, and Alia ordered one of their signature drink: Es Buaya Darat (Iced Alligator?). I strictly mentioned to the waitress that I want the meat in medium, and gladly found that they served it correctly. 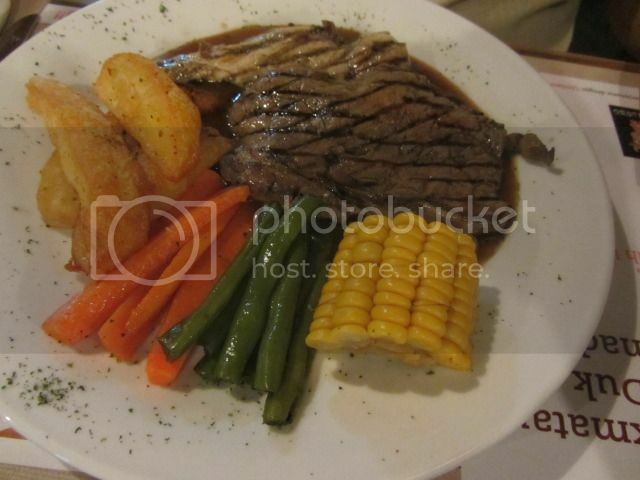 This is rare to be found in steak bistro all around Bandung, as they tend to make it well done, even if we specifically mentioned to have it medium. Overall the dining experience went well (with slight disappointment on their promotion info, which already expired at that time). 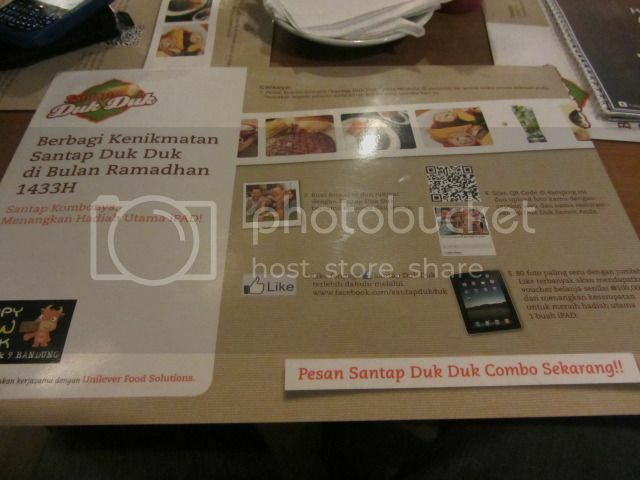 But still with the low price (overall dining experience costs us around Rp 55.000 ~ USD 5,5), it was worth the bargain.